Part 1. Ancient History can be found here. Imagine yourself walking through an open European woodland on a summer’s evening. It’s been a warm day, the sun is setting, and its at least 60 million years before present. The head torch, which you were wise enough to bring from the time machine to light your way, glints of some very small but smooth scales in the leaves littering the path ahead of you. You crouch and brush away the Paleocene leaf litter, revealing this little guy! Well, perhaps not exactly this guy, but something very similar. 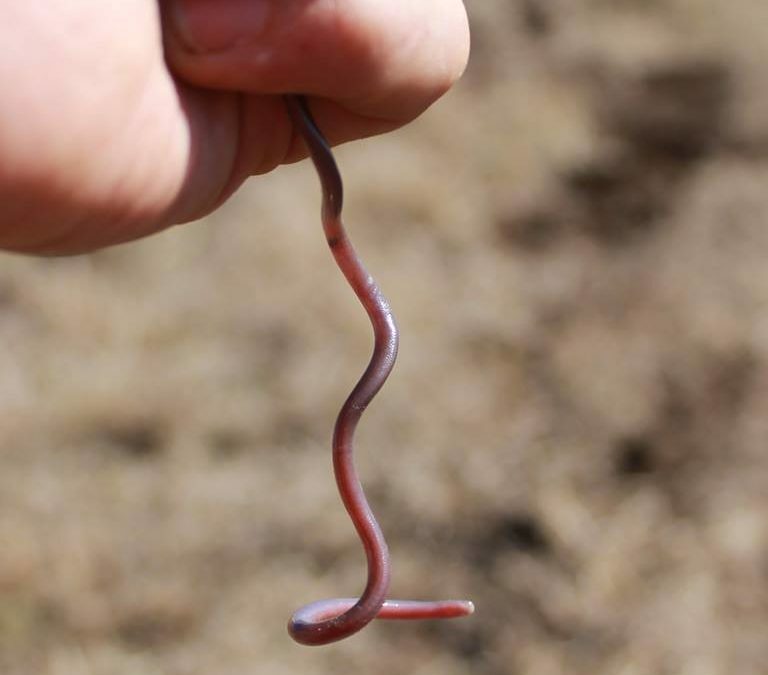 Despite it’s initially worm like appearance, it is not slimy at all. In fact it feels completely dry, like a solid, moving, uncooked piece of spaghetti trying to burrow in between the crack in your fingers, seemingly put off by your torch light. What you are holding may in fact be one of the ancestors of modern snakes, one of the first true “serpents” ever to exist. 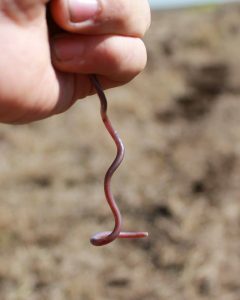 It’s a blind snake, from the infra order “Scolecophidia” (literally “worm snake”), of which one genus, Typhlophidae, lives to this day in Australia and looks, at least initially, to have changed very little over the millions of years. The first fossil record occurs in the Eocene of Europe (however many speculate that they arose far earlier), and all are specialist burrowers. In fact modern blind snakes are so well adapted to life underground that they’ve lost their vision, eyes receding to vestigial dots on the head, covered by opaque scale and now function like mere light sensing pigment spots, no longer capable of forming coherent images. Much argument rages in the scientific community at this juncture of our brief snake history. While everyone generally agrees that the Scolecophidians are an old, basal lineage of the true serpents, their bizarre life history traits cause debate as to whether all snakes were at some point burrowing specialists which then diverged in their specializations or whether the burrowing condition developed very soon after the Scolecophidians diverged from the rest of the true serpents. Furthermore, the so called Pipe-snakes and Tube-snakes, the Anilioidea, bear a lot of similarities to the Scolecophidians however are not included in this group by many analyses. Rather, they’re included with Alethinophidians (literally “true snakes”) which is considered a sister group to the Scolecophidia, but much more diverse, including all the world familiar snake groupings, from pythons to vipers. In fact there are some fossils from so-called Anilioids from the Cretaceous Period, the genus Coniophis, seemingly pre-dating the Eocene blind snakes from which they evolved! Several explanations have been proposed; a) the Scolecophidian fossil record is woefully incomplete, missing the Cretaceous era Scolecophidians, which await our discover; b) Anilioids are in fact the basal clade, the burrowing Scolecophidians being a latter derived group; c) the genus Coniophis, or at least the fossil specimens collected, are in fact misidentified Scolecophidians; d) the genus Coniophis is some ancestral form to both Scolecophidians and Alethinophidians, with characteristics of both. Based on the current data it seems that the Scolecophidians are a sister taxa to the Alethiophidians, with the Anilioids as basal Alethinophidians. Furthermore, treating the Anilioids as basal Alethinophidians has in fact recently received further support from molecular genetic studies, so the Cretaceous discovery of Coniophis remains a point of controversy. So, the more primitive Alethinophidians are grouped together as Anilioidea (pipe-snakes etc. ), while all the rest remaining modern Serpentes are grouped as the Macrostomata. It is the Macrostomata that most people are generally referring to when they say “snakes”. The name and grouping comes from the ability to dislocate the jaw hinge and eat much larger prey items, a feature seen in all modern snakes after the Anilioidea, and a well known characteristic of snakes today. The ability to dislocate the jaw and consume larger prey was evidently such and evolutionary advantage, and since their arrival on the scene coincided with the rise of the mammals (particularly rodent-like prey of various sizes), the Macrostomata became a hugely successful clade of organisms, diversifying and adapting further as they exploited various newly available and unoccupied ecological niches. Now into the modern Macrostomata, we’re in more familiar territory; boas, pythons, vipers, sea snakes, colubrids, elapids, file snakes, if you’re at all familiar with snakes then many of these words will strike a chord. Let’s briefly run through these groups in order as we get closer to the most modern snakes of all. So, who came first? It seems the first to appear were the constricting snakes, the pythons and the boas. This makes intuitive sense as a venom development and delivery system is quite a complex and specialized hunting method, one which might have taken a lot of evolutionary development to achieve. Furthermore there is no evidence of venom or hypodermic fangs in the ancestral snakes, so the ancestral snakes likely used some constriction. But the pythons and boas also left us some other clues to their ancestry. Lack of venom system notwithstanding, the most significant clue to the Pythonidae family’s ancient roots is something you don’t expect to see in snakes: legs! More precisely, vestigial legs, the leftover remnant leg bones which natural selection has reduced to stubs of bony material under the skin near the cloaca, at the end of the trunk of the body where you might expect to find a hip girdle on leg bearing vertebrates. These vestigial remnants are clear physical evidence of descent by modification as would be expected by evolution. Evolution doesn’t immediately hit on the ideal solution, such as a 100% legless snake. It simply allows for existing body plans to change, working off what genetic variation is already present in the population, the frequency of genotypes changing over time, and rarely, incorporating new mutations. This also seems a good time to mention that the big constrictors we see today as the boa and python groups are not as closely related as you might think. In fact, the well known groups of large contrictors are themselves nested in separate groups of modern Macrostomata, called the Booidae and Pythonidae, which both include small species of burrowers and fossorial specialists. The boas and pythons may have, in fact probably have, stumbled upon the same solutions to life’s challenges in what is termed convergent evolution. To put it in visual terms, let’s compare two very distantly related snakes, the emerald tree boa (Corallus caninus) and the green tree python (Morelia viridis). You would be forgiven by those who don’t consider themselves “herp-nerds” for assuming these two snakes are, at the very least, within the same family. However these two snakes are (in broad terms) about as related to each other as you are to a cat or dog. How is that possible? This phenomenon, not only occurs between these two species, but in the similarity between pythons and boas in general. The most likely scenario involves the Booidae and Pythonidae groups independently being in selective environments where features like gigantism, thermal receptors and arboreality were so beneficial to fitness and reproduction that they were adopted very successfully by both groups, rather than sharing an ancestor that was a large, green, arboreal constrictor. Many examples of this “convergent evolution” phenomenon exist; hyenas are not a canine, bats are not birds, and as a functional example the eye is hard to beat. Sensing light, it’s direction and intensity, forming and focusing images, these are such successful tools for life that the eye in various forms has evolved multiple times independently in multiple different groups in the animal kingdom. When Goldblum said, “Life, uh, errr, finds a way!”, perhaps he should’ve also noted that while we all walk down different paths, we often find ourselves in a very similar looking neighbourhood. Returning to snakes, the large constrictors were having a hugely successful period, with the Boids becoming the dominant snake on planet earth until about 36 million years ago when smaller, faster snakes started to appear. These were the so called “Advanced snakes”, including the Colubroids, the File Snakes and their relatives. The most recently discovered are the two species of Xenophidion from Malaysia, while the species-poor group of the bolyeriines, the Round-boas, were restricted to the Mauritius Islands before extinction due to human activties. The achrocordids, or file snakes, specialized water snakes with rough skin for holding fish, are the closest to the Colubroids and are generally what we talk about as a typical, modern snake which now dominate all continents. This shift of power, from big constrictors to smaller sliders, likely occurred about 20 million years ago as the continents settled, climates cooled and the larger animals were out competed in colder climates. The colubrids are now the most species rich, the most widespread, and the most successful, comprising over two thirds of the worlds current snake species. During this rise to dominance, perhaps 15 million years ago, one group of colubrids stumbled upon another survival tool. Over time, a pair of rear teeth, about midway down the jawline, became elongated, perhaps to hold or swallow prey more effectively. Over time a groove formed down one side of each tooth, allowing modified saliva to trickle into the wound. This was the snake world’s first fang, the first snakes with a venom delivery system, and they’re still around today! They are the opisthoglyphs, the “rear-fanged” colubrid snakes, like this gorgeous brown tree snake (Boiga irregulars). From this foundation, a plethora of new possibilities became available to snakes. Venom became the tool of the trade for many snakes, and new species evolved with better delivery systems, improved venom glands, more potent venom products etc. As they exploited new niches and environments around the globe, so did they speciate, spreading a great radiation of new species of venomous snakes. These will be the subject of the next installment, A Brief History of Australian Snakes Part 3 – Modern Snakes: The Ongoing Evolution of Fangs and Venom. Visit our Website for more information. Your SnakeOut.